A wide variety of roofing materials are available to homeowners considering roof replacement or installation, including asphalt shingles, tile roofing, metal roofing and more. It’s important to consider several factors what choosing the right roofing material, including the slope and complexity of the roof, the style of the house, and the local climate. You can count on Sorensen Roofing & Exteriors, G.C. 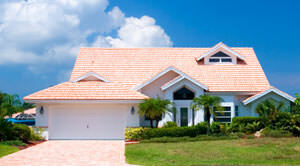 to provide you with high quality roofing services! Contact us today for your free estimate. As complete roofing contractors, we offer roof repair, roof replacement and installation in throughout Longmont, Englewood, Broomfield, Fort Collins, Boulder, Greeley, Parker, Golden, Loveland, Westminster and the nearby areas! Asphalt shingles can replicate the appearance of wood and slate. Although these terms are used interchangeably, most roof shingles used today are technically known as asphalt fiberglass shingles. Modern shingles have a fiberglass mat embedded in them to offer extra strength and tear resistance. These shingles are the most popular type of roofing for sloped roofs because of their affordability, durability, easy installation, and the wide range of colors available. 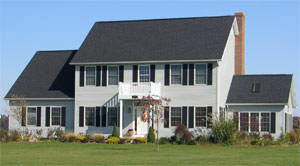 Premium grades of “laminated” asphalt fiberglass shingles are typically warrantied for 50 years. Tile roofs are generally associated with Spanish style houses, but clay and concrete roofing products can be used with other architectural styles as well. Clay and concrete tile roofing are commonly linked because they are both masonry roofing materials that require similar installation. For both clay and concrete molding, roofing tiles are designed to overlap and/or interlock with adjacent tiles. Clay and concrete tile roofs are excellent in hot, dry climates, but they shouldn’t be installed in areas where heavy, regular rain and freezing temperatures are common. 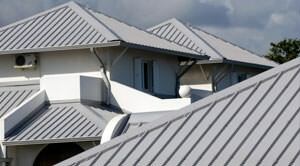 Metal roofing varieties range from standing seam styles to shingle look-a-likes. Metal roofing is a broad category that features factory-formed and finished roofing panels as well as roofing panels that are cut and formed at the building site. Metal roofing has a long history of use on houses, farm structures and commercial buildings. Metal roofing is limited in that it can’t be used for complex or curved roofs, but many metal roofs can be installed directly over a worn-out roof without tearing off the old roofing material. Corrugated metal roofing panels are a great fit for sheds and other garden structures. Corrugated roofing is well known for its distinct appearance as a thin sheet that contains a symmetrical pattern of alternating ridges and grooves. 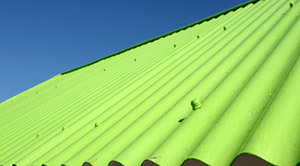 Corrugated roofing usually comes in sheet form, some manufacturers do provide large shingles. Corrugated roofing can be made from steel, polycarbonate or an asphalt-fiberglass composite, and is more appropriate for agricultural and commercial buildings and small sheds than houses. One important positive of corrugated roofing is that it can be fastened down over an existing shingled roof. Flat roofing is closely related to “low-slope” roofing because of the similar treatments used on both. Residential and commercial buildings are commonly treated with single-membrane systems like EPDM or rubber roofing, thermo-polyolefin (TPO) roofing and PVC roofing. Metal roofing is an option for low-slope roofs, but not for flat roofs. 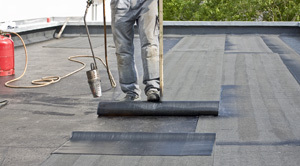 High-density Spray Polyurethane Foam (SPF) roofing is an alternative system that coats the roof with a continuous layer of foam insulation that can also serve as the finished roof surface (as long as a protective coating is applied over the foam). Expensive to manufacture and tricky to install, this “stone” roof is among the most expensive available. 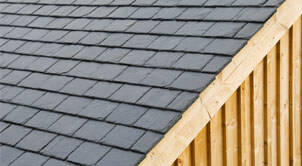 When properly installed and maintained, a slate roof can last for 75 years or more. Sorensen Roofing & Exteriors, G.C. is a full-service roofing contractor, specializing in everything from new roof installations, roof repairs and maintenance to total roof replacements. No matter what type of roofing material or job, we always provide quality workmanship, excellent customer service and a long-lasting, durable roof over your head. Our roofers work throughout the Greater Greeley area, including Aurora, Denver, Arvada, Littleton, Colorado Springs, Broomfield, Fort Collins, Englewood, Boulder, Longmont and many parts of Colorado and Wyoming. 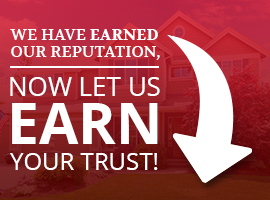 Call us at 1-844-207-0202 today to schedule an appointment for a roofing estimate.